The hardest part is picking which to make first. If you open your fridge right now, we bet you have half a leg of ham, a million prawns, loooots of roast meats, cheese, veggies, lychees, mangoes and cherries. 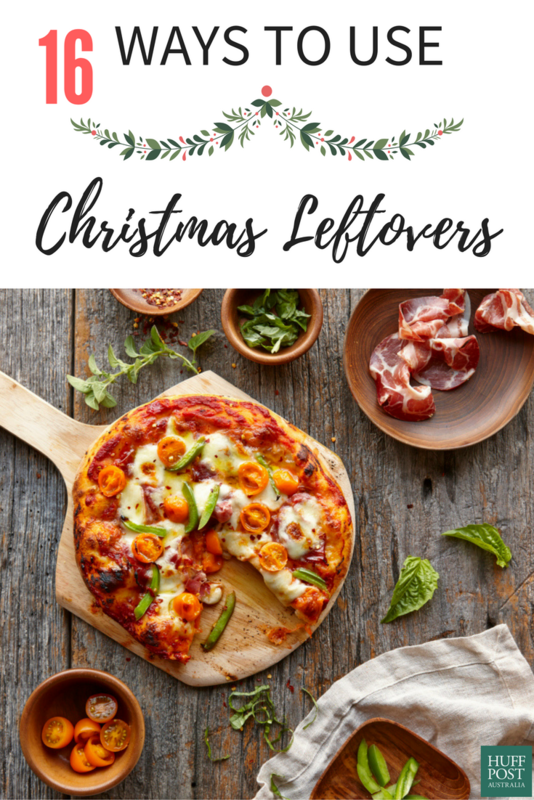 Instead of letting these all go to waste, here are 16 ideas to use up your Christmas leftovers. Not only are these dishes delicious, but they will also save you some serious $$$ on your next shop. This one is a classic but a goodie. If you've got leftover ham, simply layer it between bread with tomato and cheese, and toast that baby. 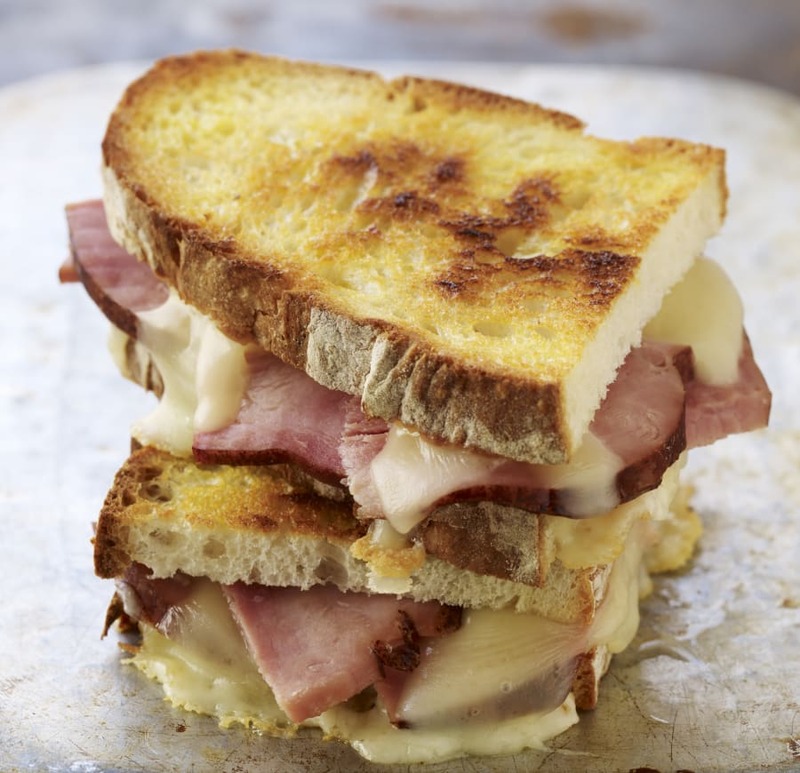 To make it fancy, use chutneys, sourdough bread and different cheeses. Are you thinking what we're thinking? 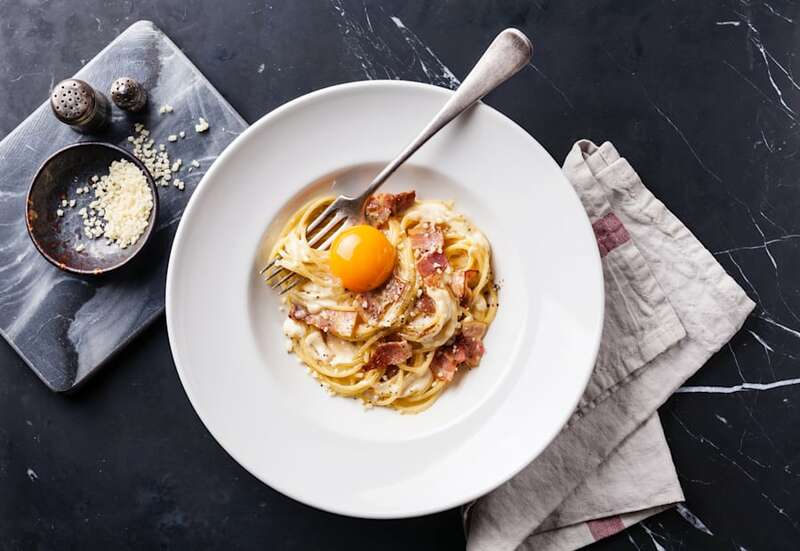 Chop up that leftover ham, fry until it's crispy and make scrumptious, creamy carbonara. That's dinner for the next two weeks sorted. Don't forget to add loads of cracked pepper and cheese. Everyone loves tacos. 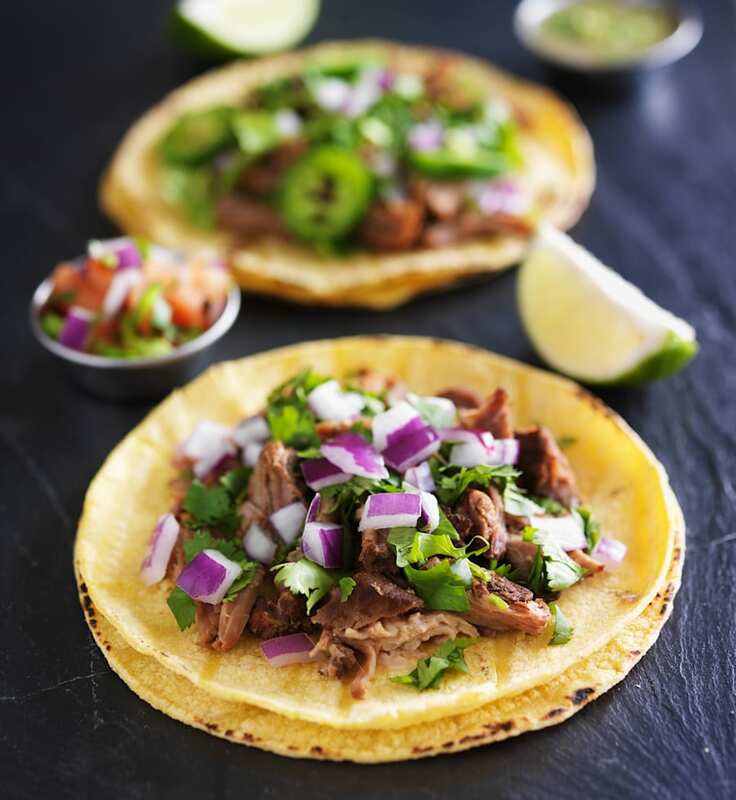 And it so happens that leftover roast beef, turkey, lamb or chicken are perfect for making top tacos. All you need to do is shred the meat with your hands, cook it up in a spicy Mexican sauce and top with a salsa (using your leftover mangoes! ), and you're set. If you want a dish you can whip up in minutes, try a classic fried rice made with leftover meats. Ham is the top choice here, but you can definitely mix it up with chicken and turkey. Crack a few leftover eggs on top, too. If you want a lighter option after Christmas (don't we all), stir fry is king with its abundant veggies. Fry meat of your choice, add in the leftover veggies, herbs and a simple sauce (try this simple, amazing one). Either serve with rice, or without if you've eaten your weight and more in bread and pasta. 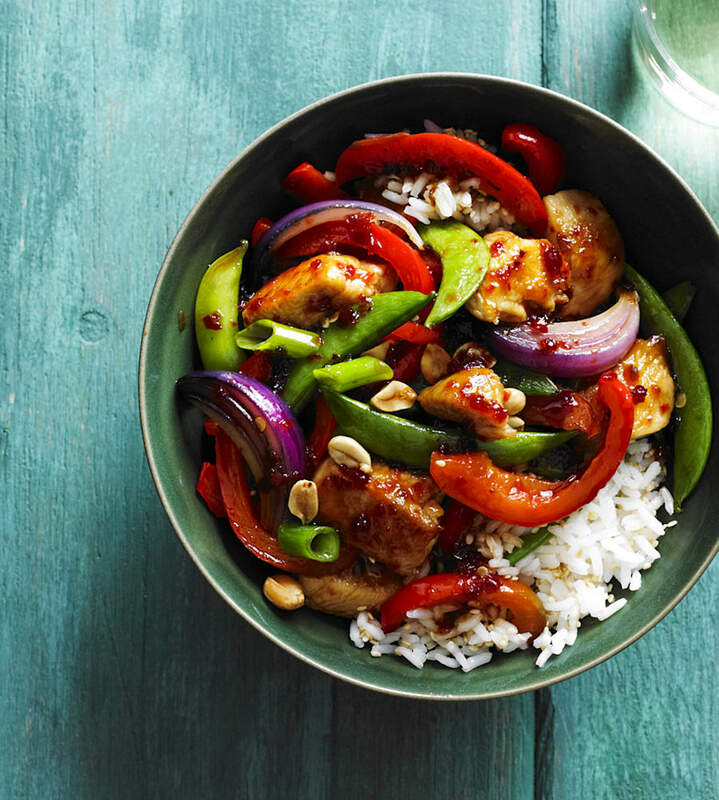 Use chilli for a fiery stir fry. 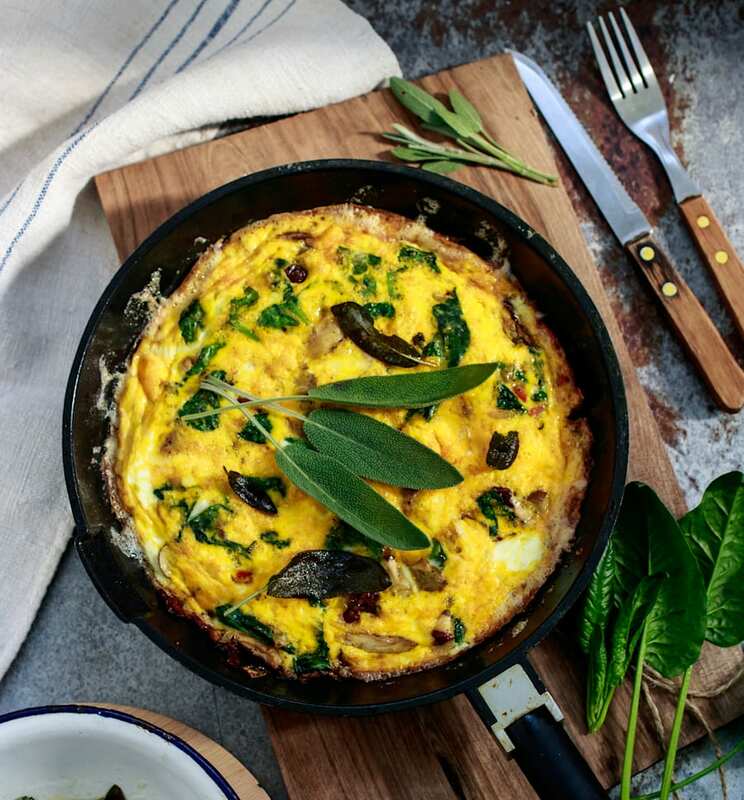 If you have a tonne of ham and eggs after Christmas, make a gorgeous, colourful frittata loaded with leftover veggies, cheese and herbs. Frittata is simple and one of the best dishes to make for brunch, served with crusty sourdough and avo. Be sure to add herbs for lots of flavour. 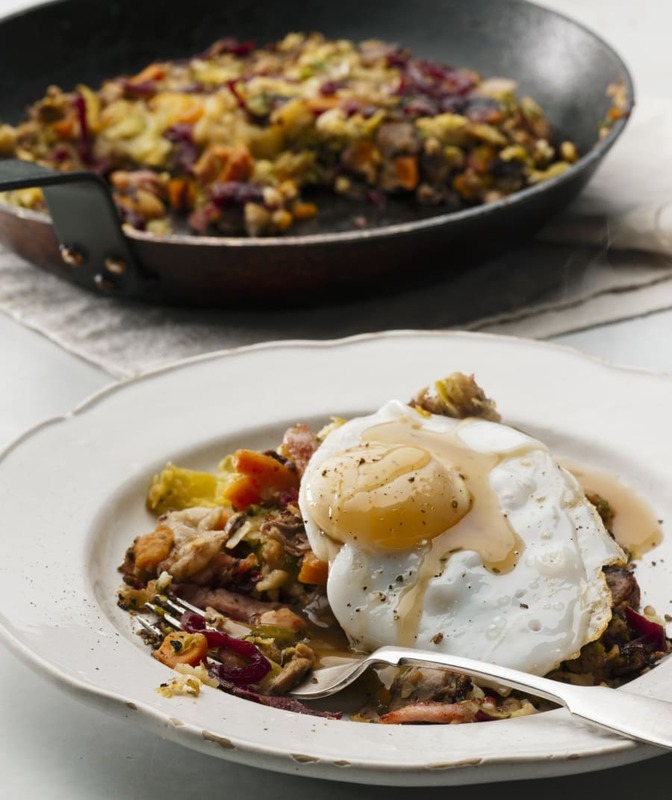 Bubble and squeak, fried with just the right amount of oil, is the bee's knees. All you need is leftover roasted veggies (like potatoes, peas and brussels sprouts), some ham, onion and garlic. Serve your bubble and squeak in burgers, alongside a big brekkie cook up, or simply on their own with some tomato sauce. It doesn't matter how messy your B&S is, it always tastes good. 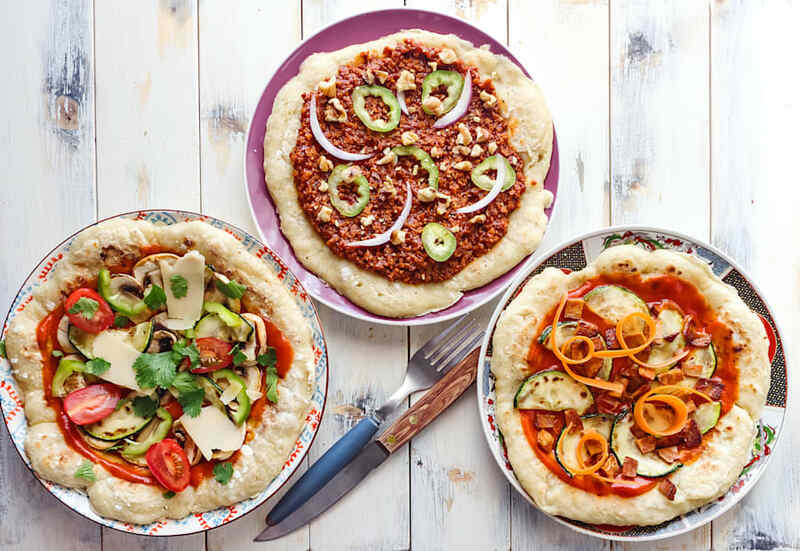 For a vegetarian or vegan option, slice up your leftover veggies (either roasted or raw), chuck them onto a ready made pizza base and bang them in the oven. Top with cheese if you fancy. Pre-make pizzas and place them in the freezer for a later date. 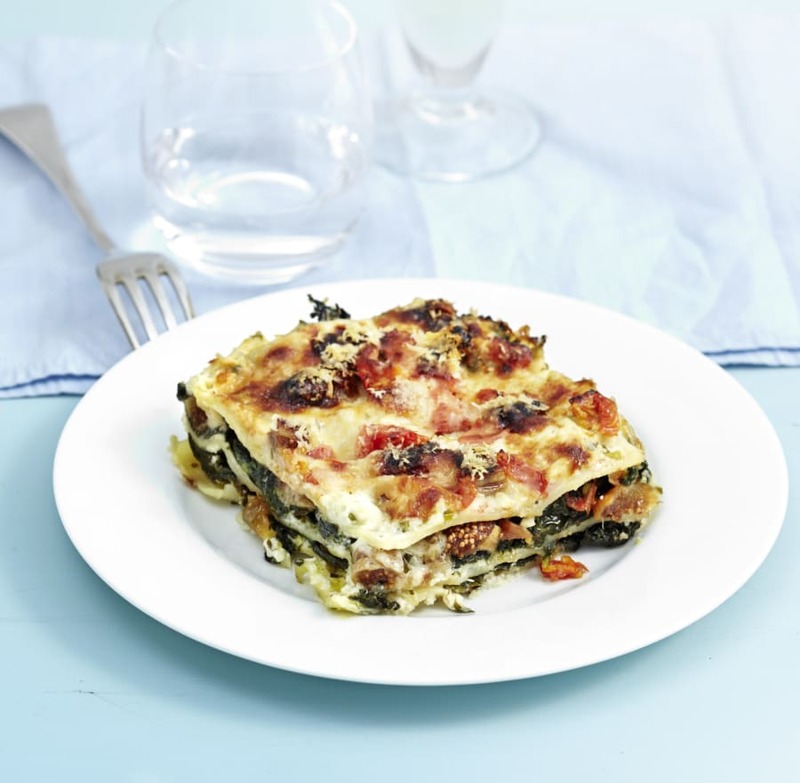 Staying on the comfort food train, transform your leftover veggies into a lasagna. You can use spinach or kale, tomatoes, eggplant, capsicum, sliced potato -- anything your heart desires. And cheese. Don't forget the cheese. If corn on the cob was on your Christmas menu and you have a scary amount of corn left, don't fret -- corn fritters are coming to the rescue. You can even finely chop or grate a few other veggies (mushrooms, zucchini and capsicum are perfect) and add to the fritters to bulk up the dish. 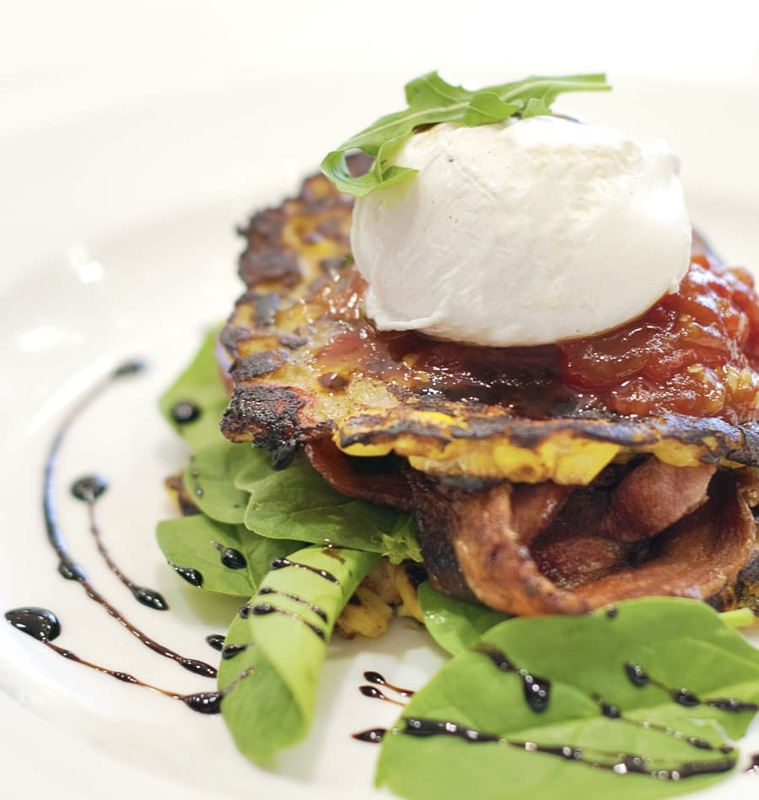 Stack 'em up and serve with fried ham, poached egg, tomato salsa and baby spinach. 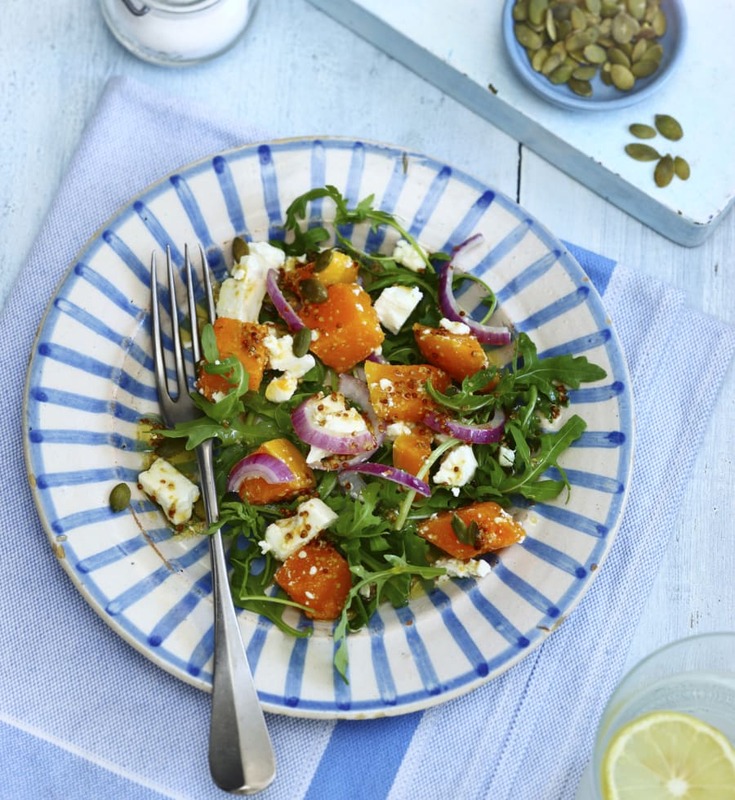 Kick start the New Year with a healthy yet hearty salad packed full of caramelised roast pumpkin, potatoes and brussels sprouts (or whatever you have in your fridge). 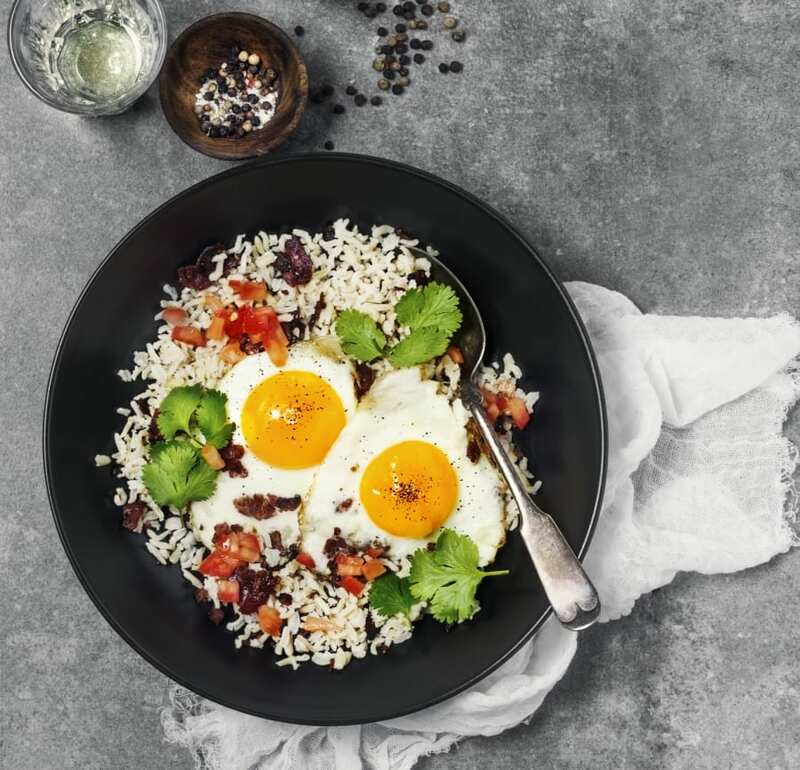 Add leftover feta, dried cranberries and quinoa to bulk it up and add flavour. Sprinkle on pumpkin seeds for crunch. 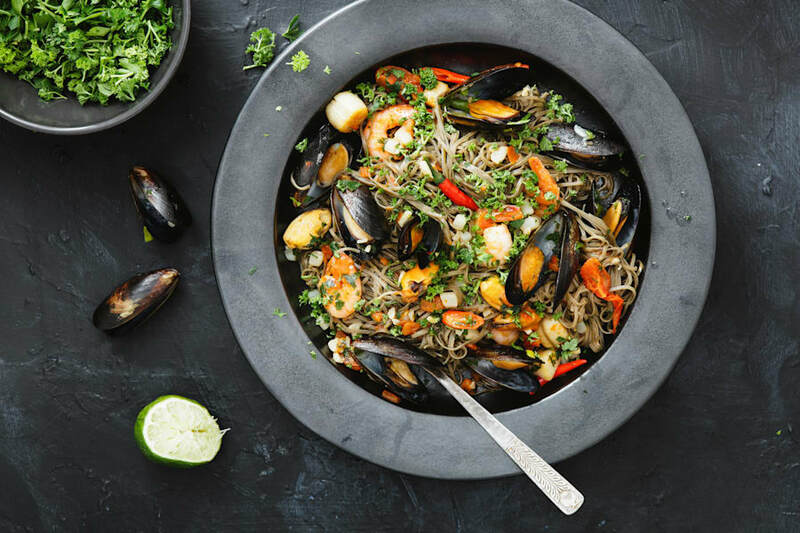 If there's a big bowl of prawns and mussels in the fridge waiting to be eaten, quickly whip up a chilli prawn pasta with fresh tomato, garlic and parsley. Play around with the type of pasta (linguine would work beautifully) and don't forget to add some of the many cheeses you have leftover. Garnish with herbs and lime. 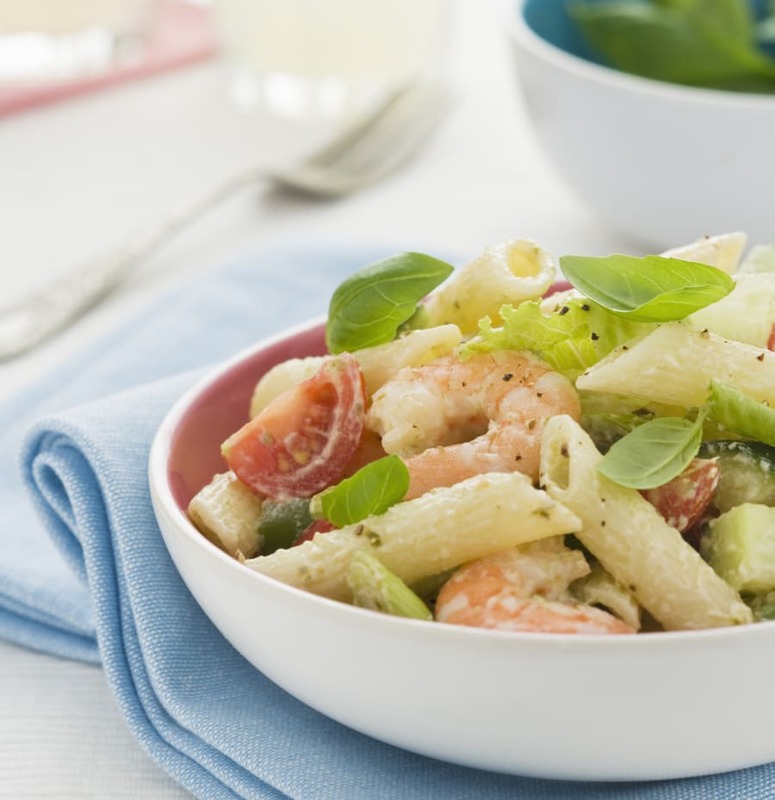 For a colder option, try seafood pasta salad with prawns, scallops or mussels and whatever else you feel like adding -- leftover mayo, capers, cheese and herbs work a treat. This dish is the perfect opportunity to use up leftover salad ingredients, too. 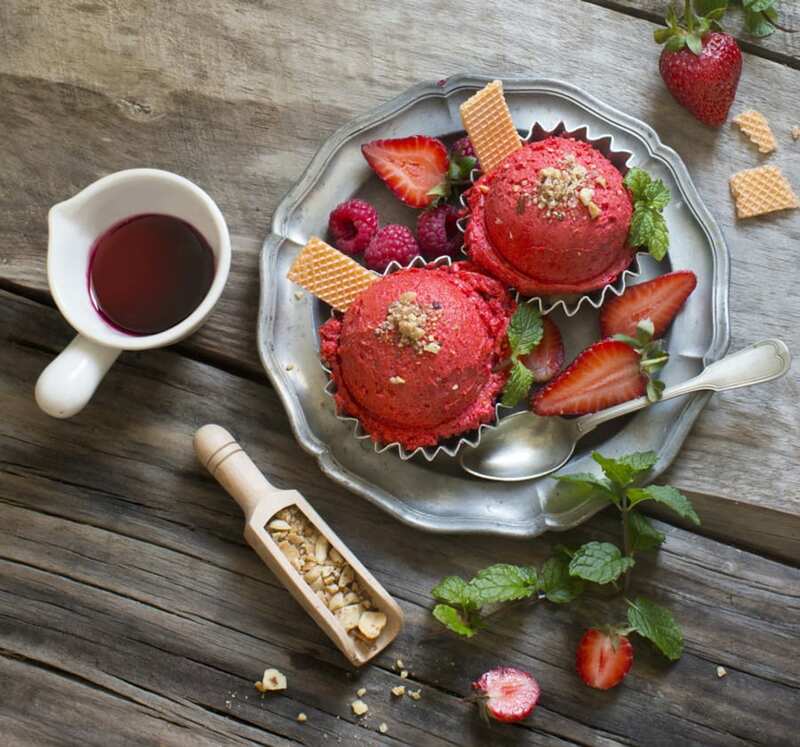 When you're sick of plain fruit or fruit salads, make an easy sorbet. Simply cut and freeze all your leftover fruit and blend with a touch of coconut water. Serve with crushed leftover nuts and wafers. 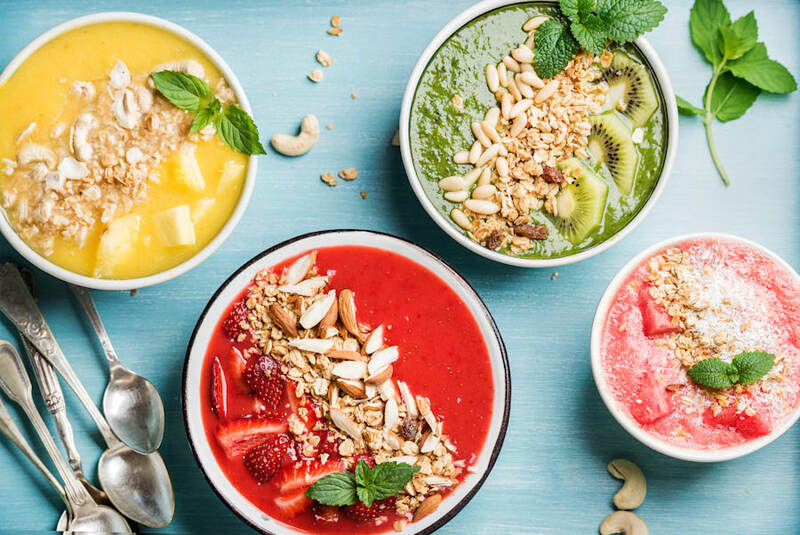 Now that you've got your frozen leftover fruits, you can make an array of luscious smoothies and smoothie bowl combinations. Personally, we think mango, passionfruit and pineapple blended with water or coconut water is ace. Top your smoothie bowls with nuts, granola and more fresh fruit. It's hot, very hot, which makes homemade icy poles the ultimate snack right now. Simply use the smoothie making method and pour the mixture into icy pole moulds. 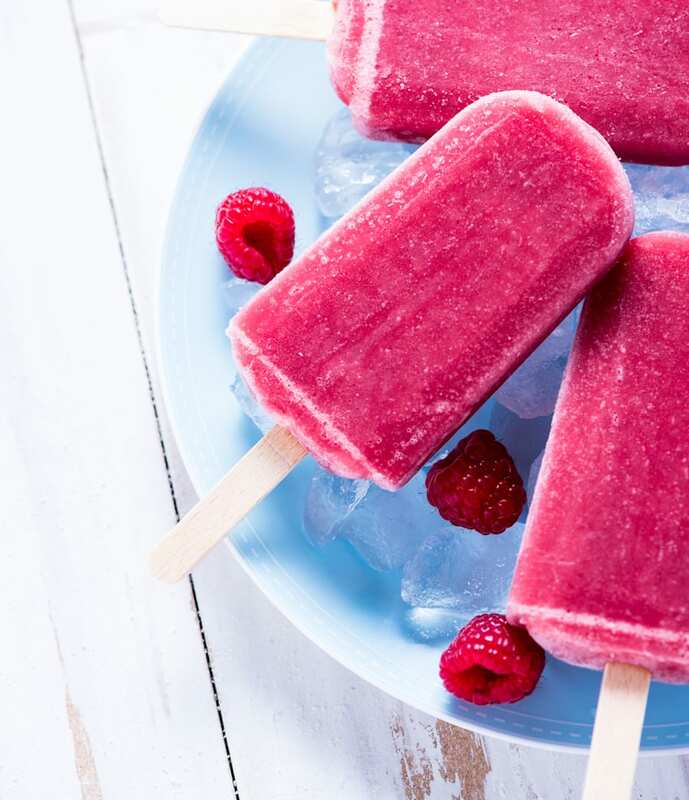 After a few hours in the freezer, your refreshing fruit icy poles will be ready to enjoy by the pool. Perfect for kids and adults alike.